Candy corn was invented in the 1880's by George Renninger of the Wunderlee Candy Company in Philadelphia. However, it was the the Goelitz Confectionery Company that popularized this candy in the early 20th century. Goelitz originally marketed this candy as "chicken feed." The three colors of the corn (yellow, orange, and white) were designed to look like a corn kernel. It sold in 1950 for 25 cents a pound. According to the National Confectioners Association, 35 million pounds of candy corn will be produced this year. That is over 9 billion pieces! Although it is high in sugar, it is a fat free candy. 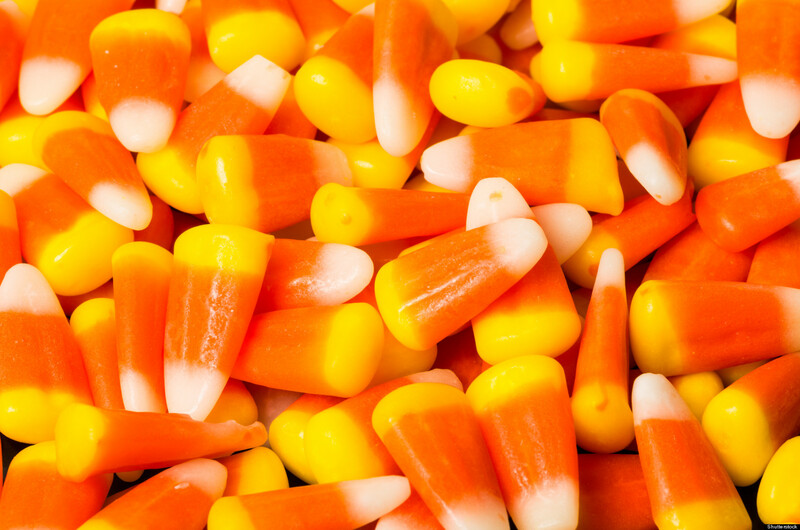 October 30 is National Candy Corn day, just in case you want to stock up for the holiday. Most people I know either love or hate candy corn -- how about you? I'd love to hear from you in the comments, below. wow who knew candy corn was called chicken feed? haha I like candy corn better. Not a big fan of it, tbh, but I know a lot of people who love it. thanks for sharing this! My kids love candy corn. Actually, they love the pumpkins even more. I've always wanted to try to make it into the corn cob that you see everywhere. I had a friend who, after high school, went to work at a food processing plant making .., you guessed it ... candy corn. Needless to say he was quite sick of it after a very short time. Thanks for the visits and comments! D., I can only imagine how tired your friend was of candy corn, after working with it daily. Shann, I have not seen the corn cob but need to look it up - sounds neat!